Welcome Cadets! Here you can find many of the resources you’ll need to use as a cadet in our squadron. If you have questions, contact your Flight Sergeant first. Additionally, check out the New Cadet Help website for information to get yourself started on the right foot! Squadron tries to outfit the cadet with uniform items, using local supplies, if able. Cadets purchase the remaining BDU articles thru Vanguard or their vendor of choice. Cadet earns the “Curry,” per the normal procedures. Vanguard automatically notifies cadets of their eligibility via email, upon earning their Curry. The email includes a web link and a voucher code. Cadet has 45 days to use the voucher. Vanguard issues an email reminder 10 days prior to expiration. Cadet visits Vanguard website and selects authorized uniform items (blues garments, shoes, belt, and blues insignia). School-based squadrons may place their orders in bulk. Cadet /parent is responsible for the order’s balance after the first $100. If cadet does not use the voucher within 45 days, or if the cadet uses only a portion of the $100 available, the remaining balance reverts to CAP. Unit commanders (and designees) can monitor voucher eligibility and voucher usage through the Member Reports section in eServices. Cadets who use the voucher receive 10% off their next Vanguard purchase. If an exchange is necessary, Vanguard will swap items one-for-one, but the cadet is responsible for paying shipping. If you need help with putting your uniform together correctly, you can consult the following resources or ask other more experienced cadets in your flight or your flight sergeant. Our squadron expects all cadets to keep their uniforms clean, pressed, and properly put together. Look your best. Quick Uniform Posters – The basics of putting everything on your uniforms correctly is contained on these uniform posters. CAPM 39-1: The Civil Air Patrol Uniform Manual — The full uniform manual contains everything you need to know about wearing your uniforms, down to the smallest details. There are many opportunities for cadets including scholarships, summer training camps, special activities, and weekend activities throughout the year. However, cadets cannot benefit from these (and may even be barred from participating in special activities) if they don’t make the weekly Monday night meetings to properly prepare them. During their first year, cadets are strongly encouraged to attend our week-long summer and winter encampments. They are held annually and your cadet will join over 200 other CAP members from across the state for a great week of training, fun activities, and education. More information on encampments and other opportunities for cadets is available from the Texas Wing Cadet Programs website, and from our squadron’s staff members. 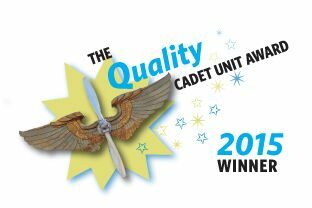 Cadets are eligible for no-strings-attached scholarships for college and even flight training once they demonstrate their commitment to self-improvement by progressing past a certain point in the cadet program called the “Billy Mitchell Award” (about the half-way point — learn more about the achievements and ranks on our Stripes to Diamonds page). In addition, each year top-ranking cadets are competitively selected for scholarships and other honors. See the CAP Scholarships page for more details. Encampment – For information on Texas Wing annual summer and winter training encampment for cadets, visit the Texas Wing Cadet Programs website. Leadership Academies — See lists of upcoming leadership academies to strengthen your skills to take charge. National Cadet Special Activities — Civil Air Patrol offers dozens of special activities every summer all around the country. Check out this calendar year’s offerings and how to apply. Drill & Ceremonies – Trying to master your drill moves? Check out all these drill resources including video lessons and cool drill competition clips. Cadet Staff Handbook — Want to know more about being a cadet on staff? This guide explains in detail every position from what to do as an element leader all the way up to the cadet commander. Respect on Display (Customs & Courtesies) — If you have questions about who to call “Sir, Sergeant, and Ma’am”, when to salute and the other formalities of wearing the Air Force uniform, read this CAP guide to customs & courtesies. Cadet Programs Library — All sorts of publications and information on the cadet program from the National Headquarters Cadet Programs team. We’re delighted your son or daughter has decided, or is considering, membership in the Civil Air Patrol Cadet Program. CAP has been offering its unique leadership and citizenship program to America’s youth since Congress founded the organization in 1941. Your cadet is part of an organization that has produced U.S. astronauts, generals and admirals, senators, pilots, doctors, CEO’s, and many successful citizens. We recommend you review the valuable information in the CAP Parents Guide and on the CAP National Parents Page. It is important to note that Cadets are not obligated or expected to join the military. CAP is not a recruiting program, and we are not recruiters for the military. While a number of our cadets have gone on to serve in the military (and for those cadets who perform well in the program, the military offers them increased pay, benefits, and advanced promotions), many other cadets take the skills they learn to succeed in college and the workforce. CAP uses uniforms to promote teamwork and develop self-discipline. The uniform motivates cadets to set high standards for themselves and to live their core values of integrity, volunteer service, excellence, and respect. Additionally, cadets practice military customs and courtesies as part of their leadership training. Your son or daughter will have responsibilities, such as properly assembling, cleaning, and pressing their uniforms, studying their textbooks between meetings, and working on their physical fitness. The cadets meet once a week for just a few hours. However, they cannot improve their leadership, aerospace knowledge, and fitness levels in just 2 hours per week. While we hope you will encourage and remind your cadet to study their textbooks, care for their uniform, and exercise — we also want to teach them a degree of self-discipline. So we ask that you do not do things like iron their uniform for them. They will need to know how to do this on their own when they go to training activities like encampment. If you have a question or concern about CAP, we invite you to contact us by phone, email, or in-person at any of our meetings. Our entire squadron leadership has an open-door policy for all parents. We take the safety of your son or daughter very seriously. We have very detailed cadet supervision, safety, and risk management regulations. All of our adult members undergo FBI fingerprinting and background screenings and complete training in everything from preventing and identifying abuse to operational risk management and safety. All of our cadets complete an orientation to safety training before they can even earn their first stripe and our squadron is regularly inspected for regulatory compliance by higher headquarters. Volunteer — Think about joining the ranks of our CAP volunteer officers. See our “Volunteer!” page to learn more about what things we need help with right now. We really do need some extra hands right now, and you could help us make the program better. Cadet Sponsor Member — parents and grandparents of cadets can become a “sponsor member” (for a $30 annual membership fee) allowing them to assist our program by driving CAP vehicles, chaperoning activities and helping to raise funds or plan or setup social events. CSM’s are exempt from squadron dues. Recruit — Ask us for some recruiting brochures (we’re happy to hand them out) and invite the sons and daughters of friends, family, neighbors and co-workers to check out our program. A bigger cadet program also means more leadership opportunities for your son or daughter. They can also earn recruiting awards by bringing in new members. Donate — Our local squadron does not receive any funding to operate. Our buildings are generously loaned to us by the airport, and our adult volunteers provide money from their own pockets to turn on the heat, put paper and toner in the copier, and gas in the CAP vans to make the program affordable to our community’s youth. Any donation (or contribution of needed supplies) can go a long way to helping our program. As a 501(c)(3) non-profit organization, all of your donations to CAP are tax-deductible.